Hats off to the Andy and the CommentLuv team for their hard work to resolve the issue quickly. CommentLuv should be re-enabled automatically for your site, but please check your plugin settings at http://intensedebate.com/plugins. Sorry for the inconvenience. Andy Bailey, the code ninja behind CommentLuv, has been working to get CommentLuv integrated with IntenseDebate, and we’re pumped to let you know that the shiny new ID CommentLuv plugin is ready for primetime! CommentLuv has been always been a widely requested feature, and with good reason – it’s the perfect fit for IntenseDebate, and will go a long way in helping strengthen your community. You can check out Andy’s post here. CommentLuv rewards your readers and helps you discover new and interesting posts by automatically adding a titled link to the comment authors last blog post when they comment. Just like all of our plugins, activating is one simple click of the mouse and you’re done. When you’re logged in, go to http://intensedebate.com/plugins, find the CommentLuv plugin, and hit “Activate”. That’s it! Make sure you check out our other plugins like PollDaddy Polls, After the Deadline spelling and grammar checker, and loads more. Using the CommentLuv plugin is a piece of cake. Just select the CommentLuv checkbox, enter your site URL, and select the post that you’d like to link to. Type your comment, hit submit, and voilà – you’re done! 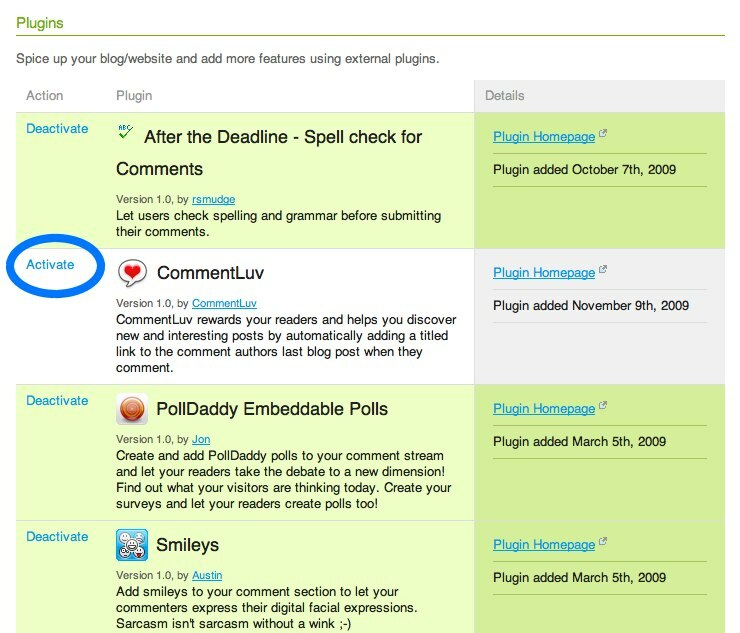 We’ve activated the plugin on our blog, so give a try below. Hats off to Andy for his work to bring CommentLuv to IntenseDebate!